Plants are living beings who need to be cultivated and nurtured, especially when young (just like a child). Learn about the individual plants needs in the way of sun and watering. Google it and/or ask someone. A plant that likes full sun by the ocean may immediately be burned and shrivel up and die when planted in hot desert like conditions. Utilizing taller plants or trees to shade (and cool down) some less hardy or more light sensitive plants during the hotter parts of the day is helpful. Plants need to be taken out of starter pots and "planted in the soil" as determined by #2 (setting on top the ground or putting the little pot in the ground does not mean it is planted in the soil). More is NOT better. Fertilizers are not needed when planting new plants. Chemical fertilizers act on the plants like steroids do with people. Chemical fertilizers will also burn tender new roots. Plants are feed by the activity of the microorganisms in the soil, not by fertilizer. We want to feed the soil not the plant. 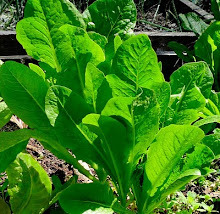 Compost and/or mulch are good additions to new plantings after they have been established for a few months or few weeks (if needed to protect from drying out and baking during hot weather). Watering, changes with the condition of the plant and the weather. Any new start will need to be keep moist (not drowning) during the first few weeks after planting as new roots establish themselves and grow into the soil surrounding the initial root ball. When the plant has matured, it will have more roots that have spread wider and deeper in the soil and that can draw on the water from the soil, ie. you don't need to water as often. But individual kinds of plants have different water needs. Some need continual moisture, some need to be allowed to become a little dryer between waterings and some would die from continually moist soils. Weather conditions affect this too - as when mother nature is watering, you don't need or want to over-water. Lastly, growing plants are part of life's ever-changing learning system. By watching, nurturing and enjoying the development of plants we gain knowledge about the natural world and are rewarded on many levels.